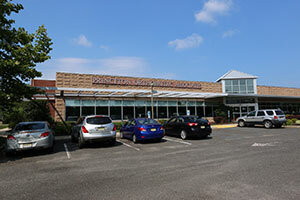 Forsgate Office - Princeton Orthopaedic Associates, P.A. - Distance: 13.2 miles Approximate Travel Time: 24 mins. Start at HIGHWAY 33, HAMILTON on RT-33 going towards ramp – go 0.2 mi. Continue on US-130 – go 9.4 mi. Bear RIGHT on CRANBURY SOUTH RIVER RD/S RIVER RD – go 2.4 mi. Continue on ramp – go < 0.1 mi. Bear RIGHT on FORSGATE DR – go 1.1 mi. Turn RIGHT on CENTRE DR – go < 0.1 mi. - Distance: 12.4 miles Approximate Travel Time: 25 mins. Starting in FREEHOLD, NJ on COURT ST goes towards LAFAYETTE ST – go 0.4 mi. Turn LEFT on AVENUE C – go 0.2 mi. Turn RIGHT on THROCKMORTON ST – go 0.5 mi. Continue on FREEHOLD-ENGLISHTOWN RD – go 0.8 mi. FREEHOLD-ENGLISHTOWN RD becomes FREEHOLD RD – go 3.0 mi. FREEHOLD RD becomes TENNENT AVE – go 0.3 mi. Turn RIGHT on N MAIN ST – go 0.1 mi. Turn LEFT on WATER ST – go 0.2 mi. Bear RIGHT on WOOD AVE – go 1.0 mi. WOOD AVE becomes BUCKALEW RD/BUCKELEW AVE – go 1.7 mi. Continue on BUCKELEW AVE – go 2.7 mi. Turn LEFT on CR-612 – go < 0.1 mi. Bear RIGHT on FORSGATE DR – go 1.5 mi. Turn LEFT on CENTRE DR – go < 0.1 mi. - Distance: 9.3 miles Approximate Travel Time: 18 mins. Starting in MANALAPAN, NJ on SMITHBURG RD/WOODVILLE RD – go 0.1 mi. Bear LEFT on RT-33 WEST – go 2.2 mi. Turn RIGHT on PERRINEVILLE RD – go 3.9 mi. Turn LEFT on PROSPECT PLAINS RD – go 1.8 mi. Turn RIGHT on APPLEGARTH RD – go 1.1 mi. Turn RIGHT on CENTRE DR – go 0.3 mi. - Distance: 33.5 miles Approximate Travel Time: 42 mins. Start at NEWARK AIRPORT on NEWARK AIRPORT/TERMINAL A/TERMINAL A ACC – go < 0.1 mi. Continue on TERMINAL A DEPARTURE ACC towards A DEPARTING FLIGHTS – go 0.3 mi. Continue on TERMINAL C ACC towards AIRPORT EXIT/C ARRIVING FLIGHTS – go 0.3 mi. Continue on NEWARK INTERNATIONAL AIRPORT EXIT towards AIRPORT EXIT/ALL PARKING/RENTAL CAR RETURNS/TERMINALS A B – go 0.7 mi. Continue towards US-1/US-9/NEWARK-ELIZABETH (US-22)/NY VIA SKYWAY (RT-21)/ELIZABETH – go 0.6 mi. Continue on US-1 & 9 EXPRESS LN SOUTH/US-1 EXPRESS LN SOUTH/US-9 EXPRESS LN SOUTH – go 0.8 mi. Continue towards DOWD AVE/NJ TURNPIKE (I-95)/NORTH AVE/ELIZABETH SEAPORT – go 0.1 mi. Continue on RT-81 SOUTH – go 1.1 mi. Take I-95 SOUTH towards CARS/TRUCKS-BUSES – go 0.4 mi. Take I-95 SOUTH towards CARS/TRUCKS-BUSES – go 27.2 mi. Take the ramp towards CRANBURY/JAMESBURG, exit #8A – go 0.2 mi. Continue towards JAMESBURG/MONROE – go 0.8 mi. Continue on CR-612 EAST – go 0.9 mi. - Distance: 14.5 miles Approximate Travel Time: 21 mins. Starting in NEW BRUNSWICK, NJ on DELAVAN ST go towards LEE AVE – go 0.2 mi. Turn LEFT on REMSEN AVE – go 0.5 mi. Continue on OLIVER ST/TABERNACLE WAY – go 0.2 mi. Turn RIGHT on MEMORIAL PKY – go 0.4 mi. Continue on RT-18 SOUTH – go 1.5 mi. Bear RIGHT to take N.J. TURNPIKE towards TRENTON AND SOUTH – go 0.4 mi. Turn RIGHT towards CARS/TRUCKS-BUSES – go 0.3 mi. Merge on I-95 SOUTH – go 9.0 mi.